I'm not writing this post pretending to be a newsreader (Mr J2Ski News does a great job of that), my question is - does anyone else know about this and any ideas whether there's any buses doing the trip between the resorts? 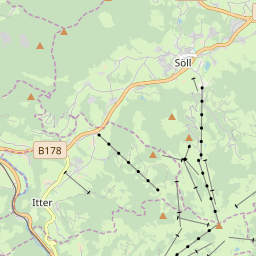 Our group has 1 beginner and one intermediate in addition to me and my mate (who could do the blacks), this could potentially cut off a fair bit of the ski area. I've tried to contact Iglu & Inghams on Social Media but got nowhere. Such sad news. 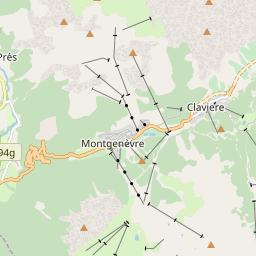 I am currently in Montgenevre chatted yesterday to two guys who were skiing over in Claviere the day before and they said that loudspeakers told them that everyone had to go back to their own resorts as lifts were going to shut so they couldn't go any further and had to return to Montgenevre. Nobody knew why, sadly we do now. I will ask about piste closures. Lizzie-B wrote: Such sad news. 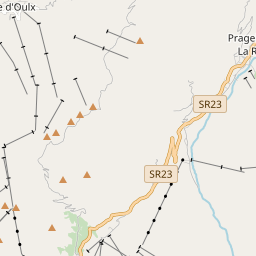 I am currently in Montgenevre chatted yesterday to two guys who were skiing over in Claviere the day before and they said that loudspeakers told them that everyone had to go back to their own resorts as lifts were going to shut so they couldn't go any further and had to return to Montgenevre. Nobody knew why, sadly we do now. I will ask about piste closures. The latest we've heard is that the other runs are closed "indefinitely"? I remember doing that one in thick fog going from piste marker to piste marker. The red & blue were closed that day too. As I recall the red/blues that are currently closed were quite narrow in places with negligible netting with significant drops. The last time I ski'd Sauze I remember Mrs M commenting the last time we went there that the bue wasn't all that safe for inexperienced skiers because of the drop if you got it wrong. That would very sad if that was the reason and no netting had been erected. What's the black like? Videos with blue sky and no people on them are not always realistic. Heading to Sauze end of Feb with a mixed group of strong intermediates, incl kids with a couple of holidays done but also 1 family with 2 beginner kids. 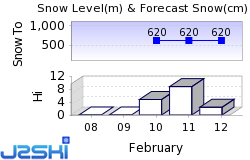 I was there 10 yrs ago and the snow wasn't great and runs to / from Sestriere were closed. Reading about the closed black/red runs, I'm worried for the beginners, and the nervous in the group that they wont have enough beginner slopes in Sauze. if we wanted to take a taxi in the afternoon to Sestriere or Cesana, is it worth it or easily done? How much would it cost? Some of us would be happy enough to go on the black back but others not a chance.